Wonderful capture, congratulations on your sale! Again?! Way to go, dude! Very cool and mysterious! Congratulations on your sale :)! 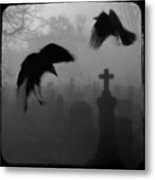 amazing dark work, I am impressed! 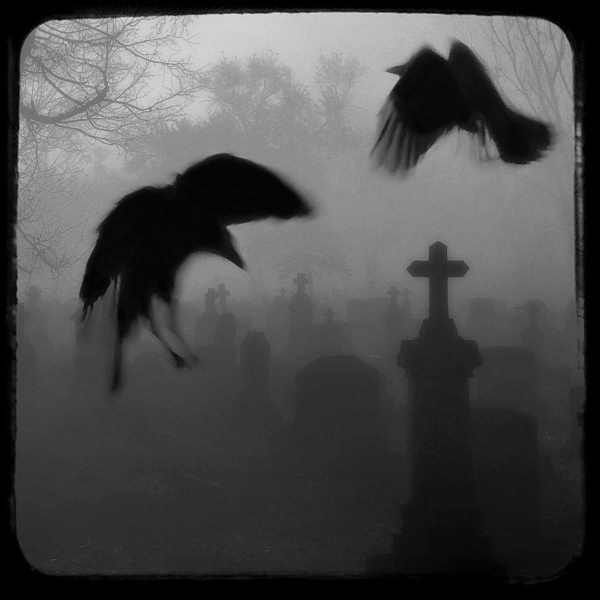 Ghostly vision of crows hovering around a tombstone at night in black and white.